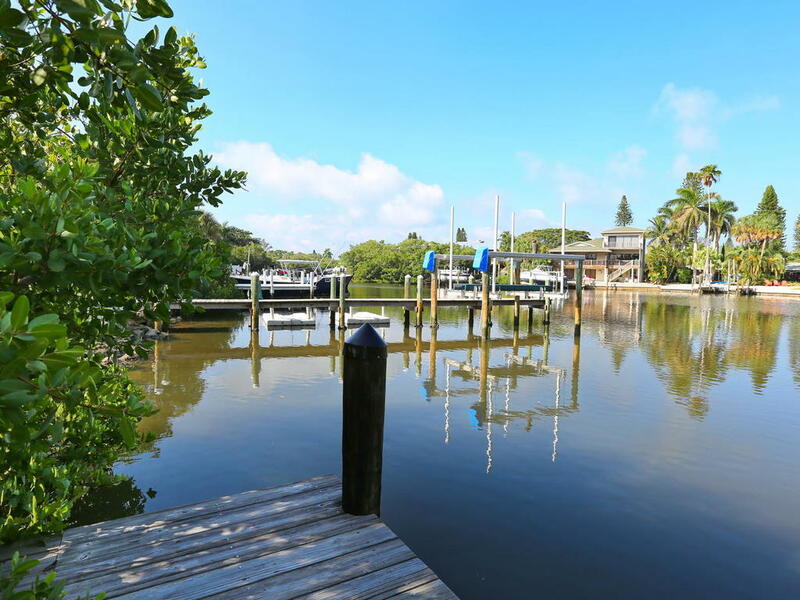 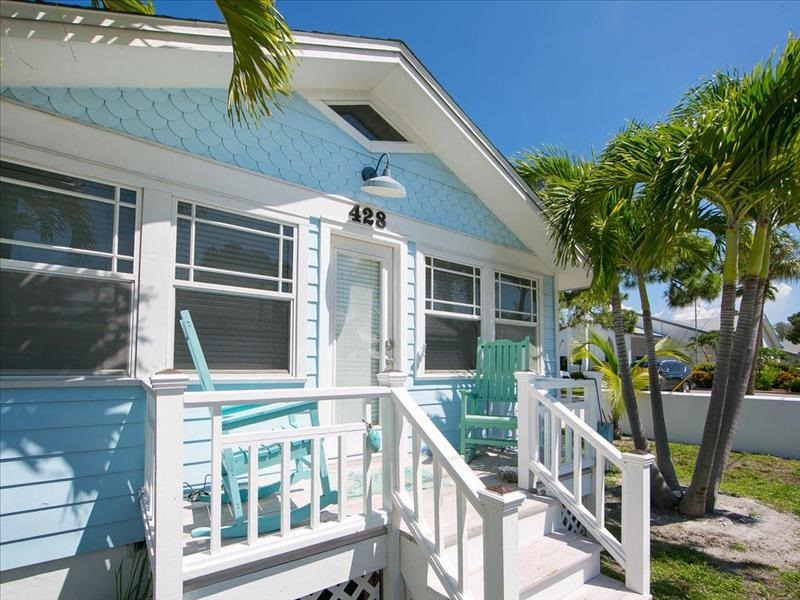 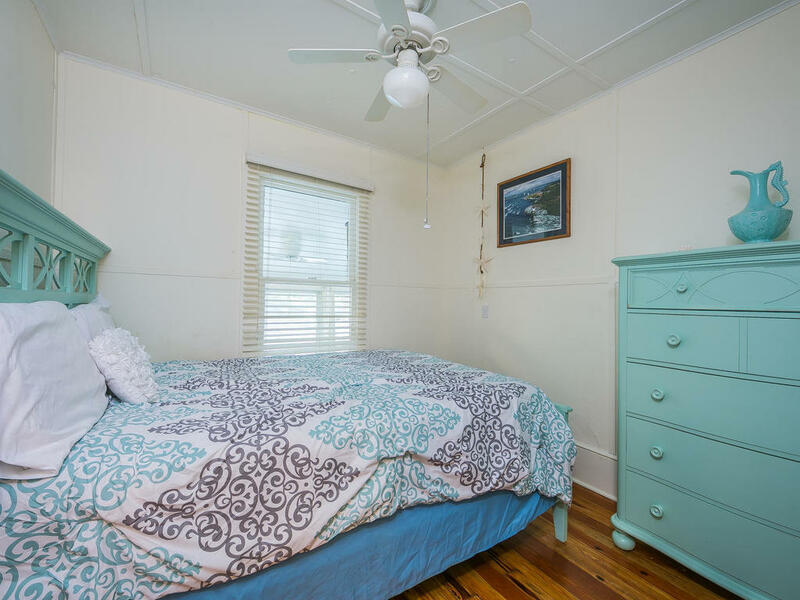 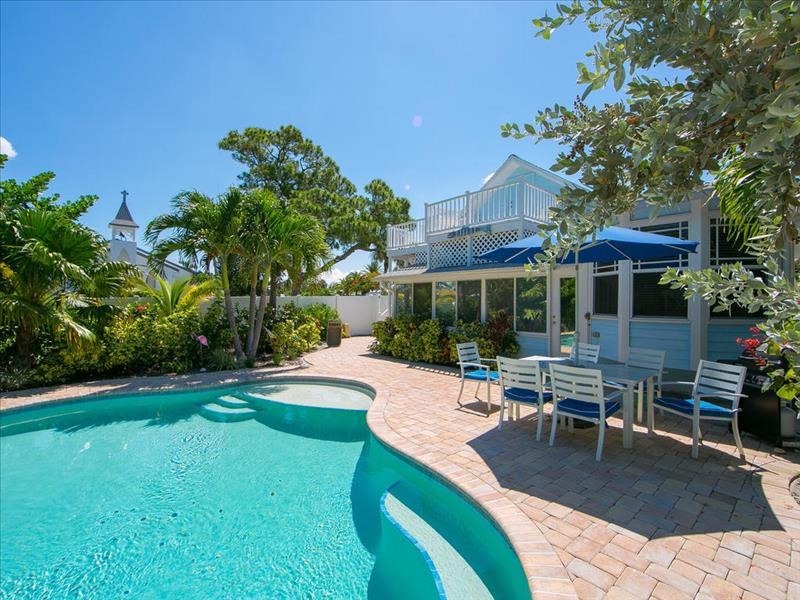 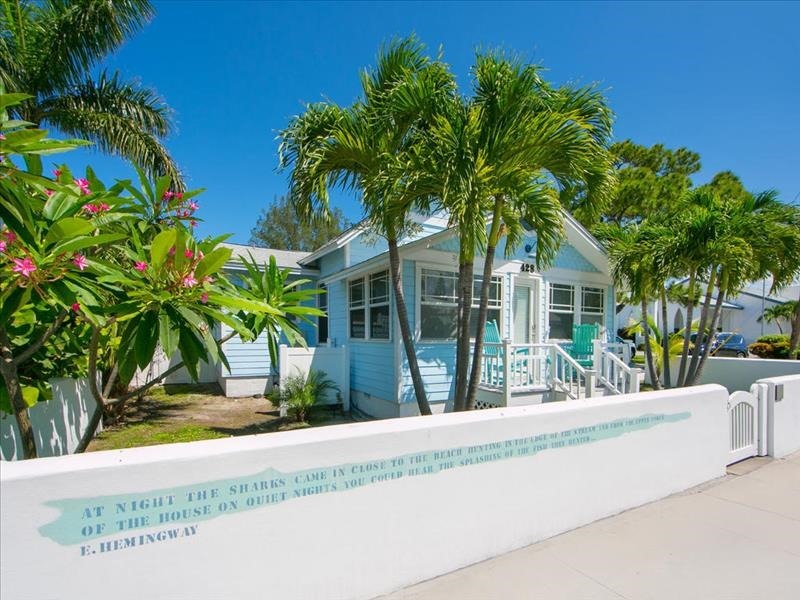 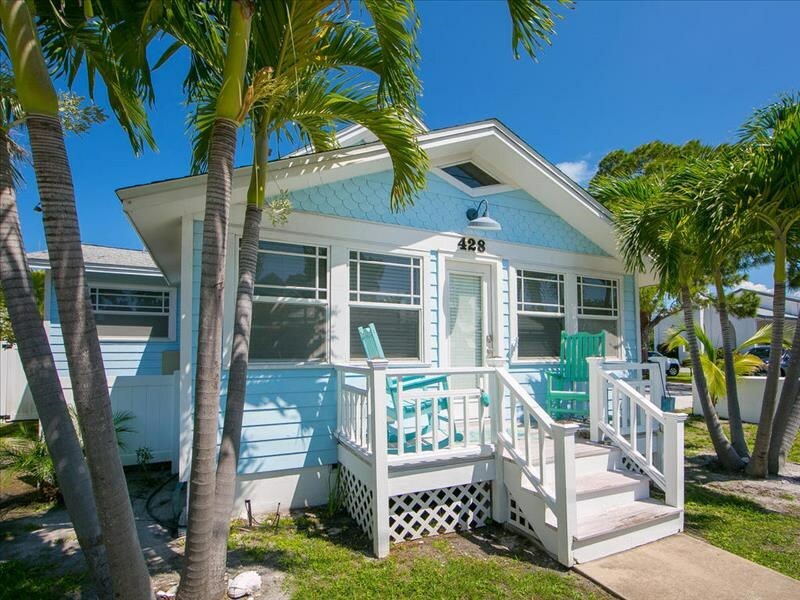 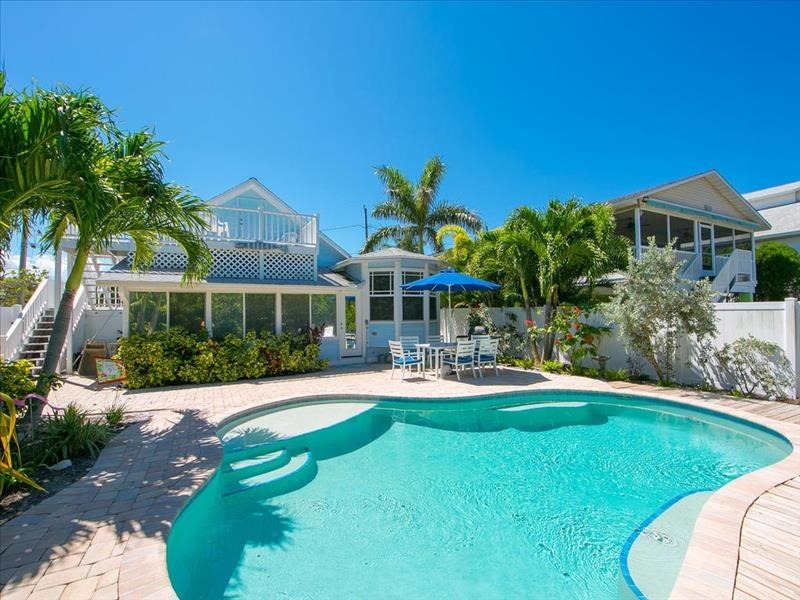 Cozy and quaint and perfectly nestled in the hustle and bustle of Anna Maria’s Pine Avenue, you’ll fall in love with Shark’s Eye. 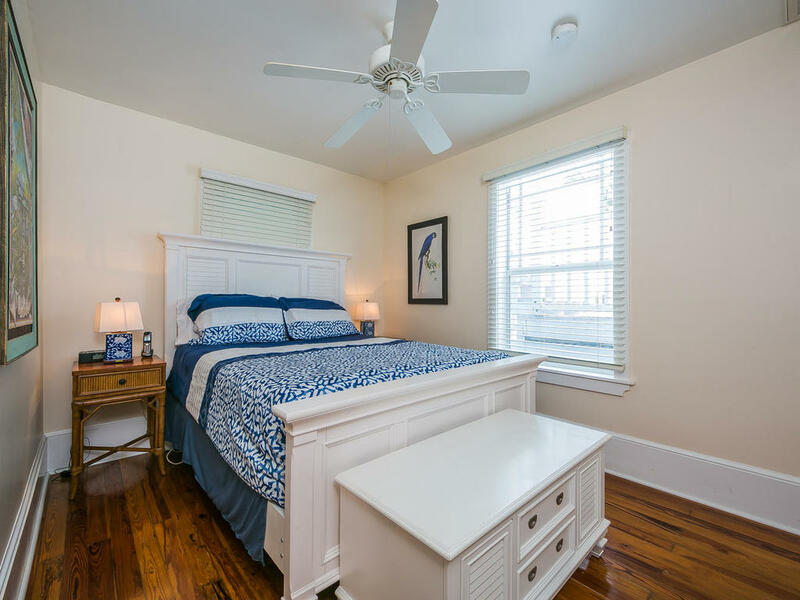 Just steps away from fabulous shopping and fine dining, you’ll have no problem keeping busy. 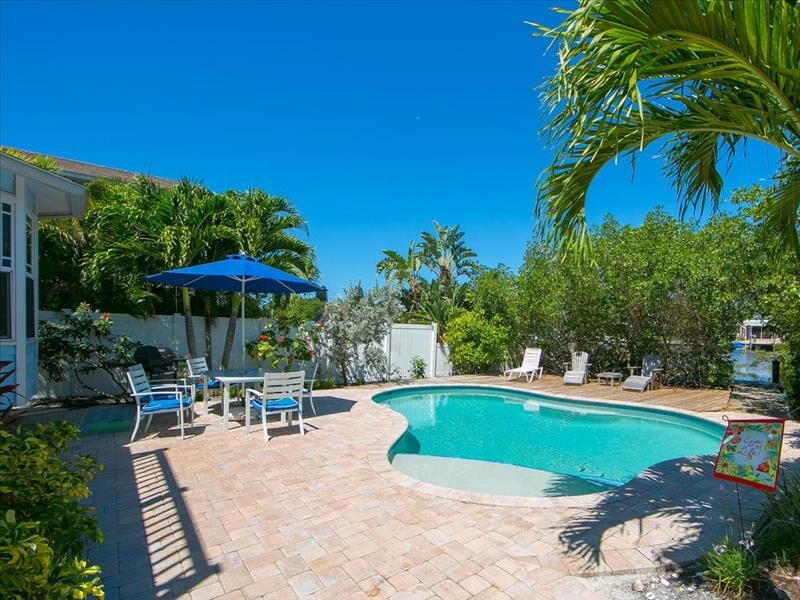 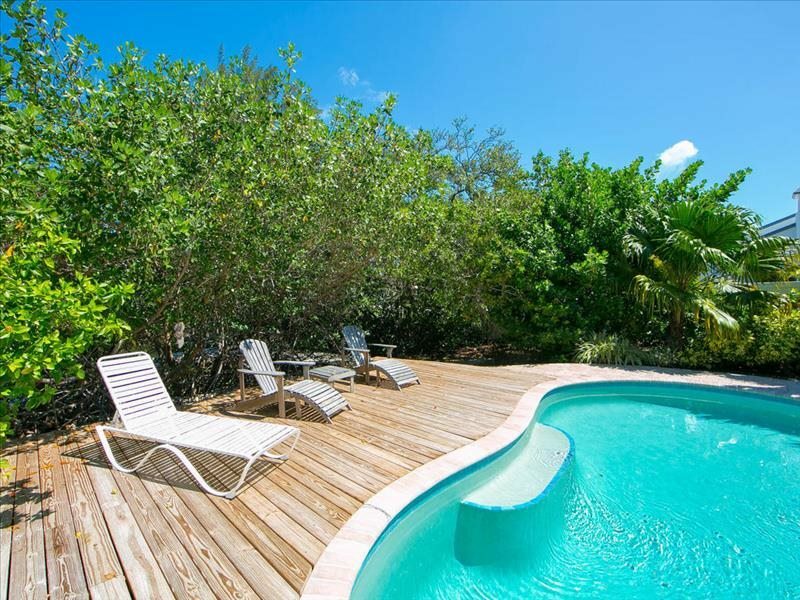 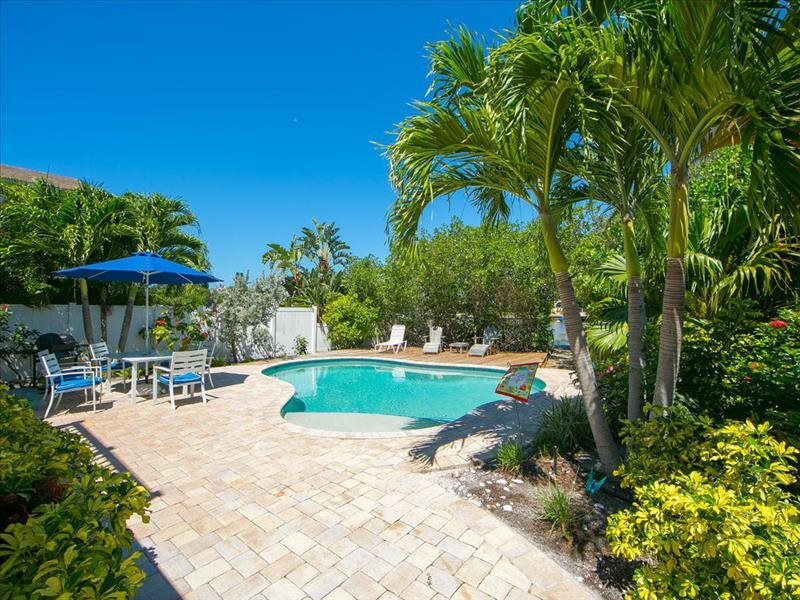 In fact, with all the fun to be had outside the front door, you may have to force yourself to relax out back poolside. 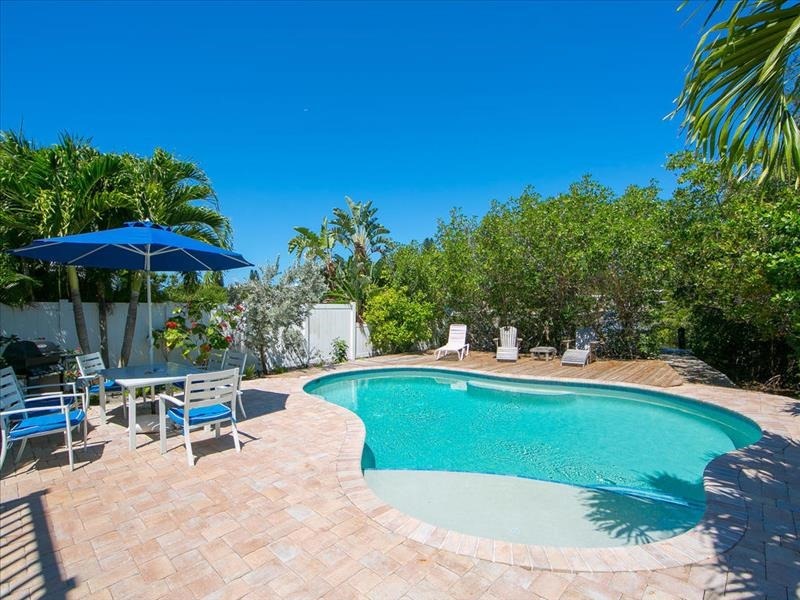 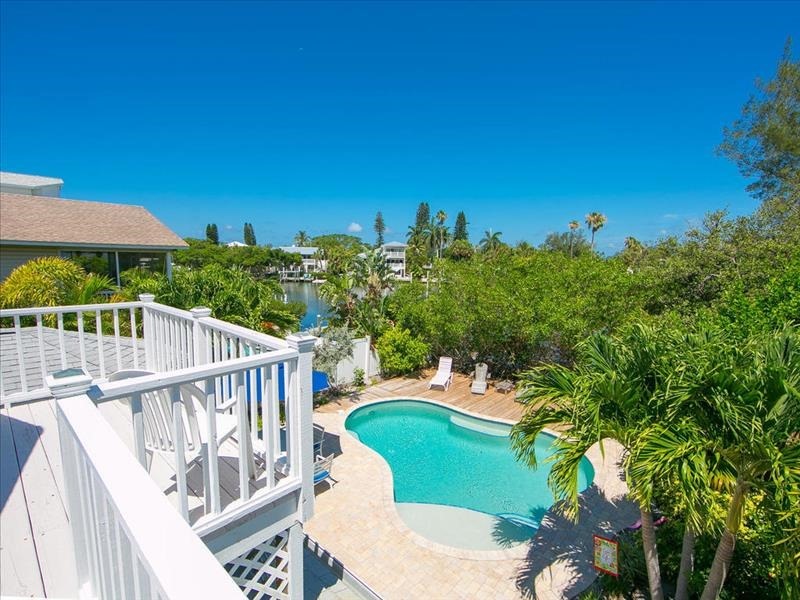 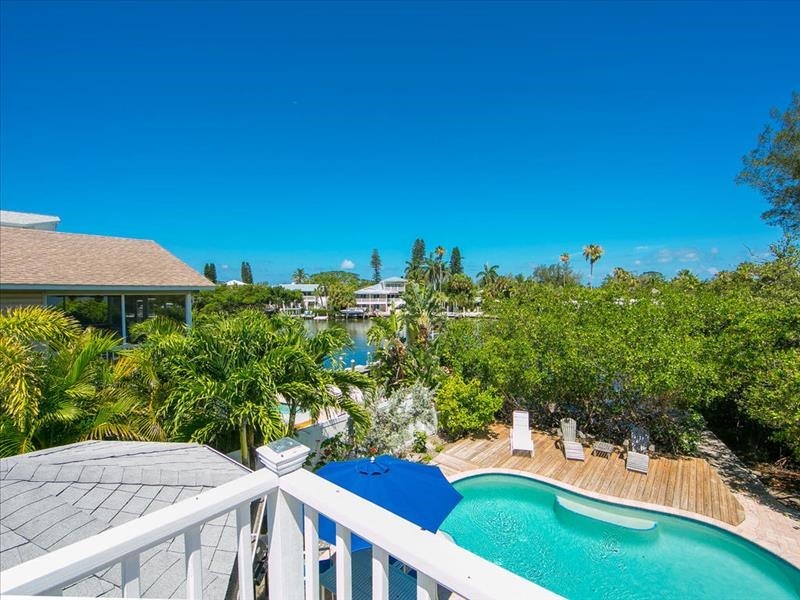 Take time to sip a beverage from the balcony over looking the pool, fantastic landscaping and private dock on the canal. 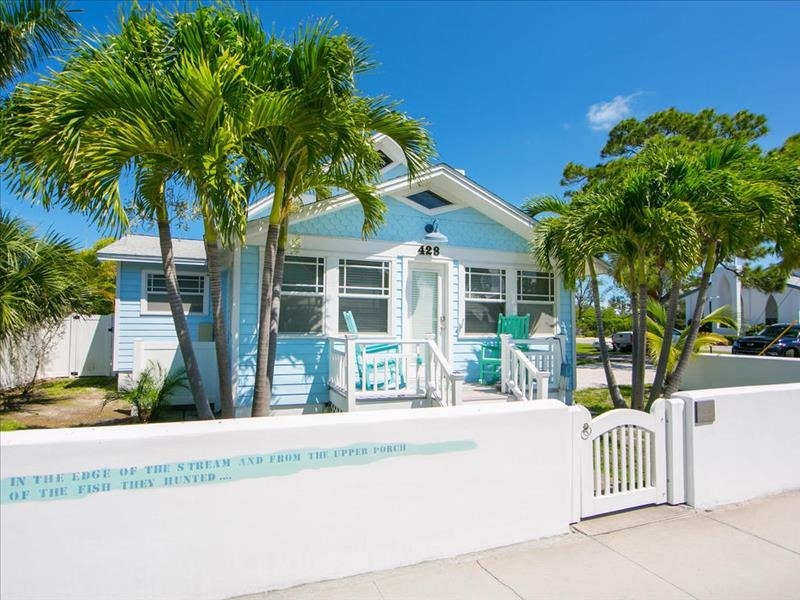 Bike and golf cart rentals are a fun and easy way to travel to and from the beach and around the rest of our lovely little island. 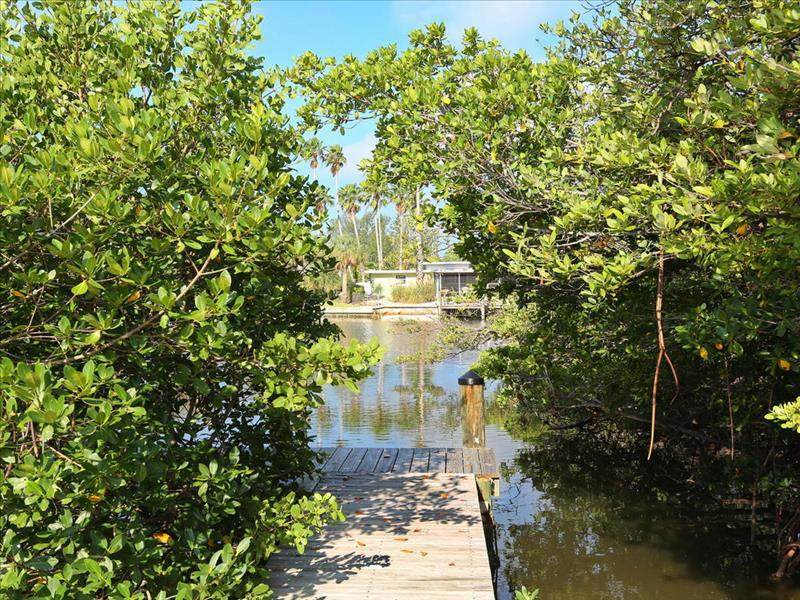 If you prefer to walk, you’ll enjoy yourself on the brief jaunt to the white sands and glistening waters of the Gulf Beaches. 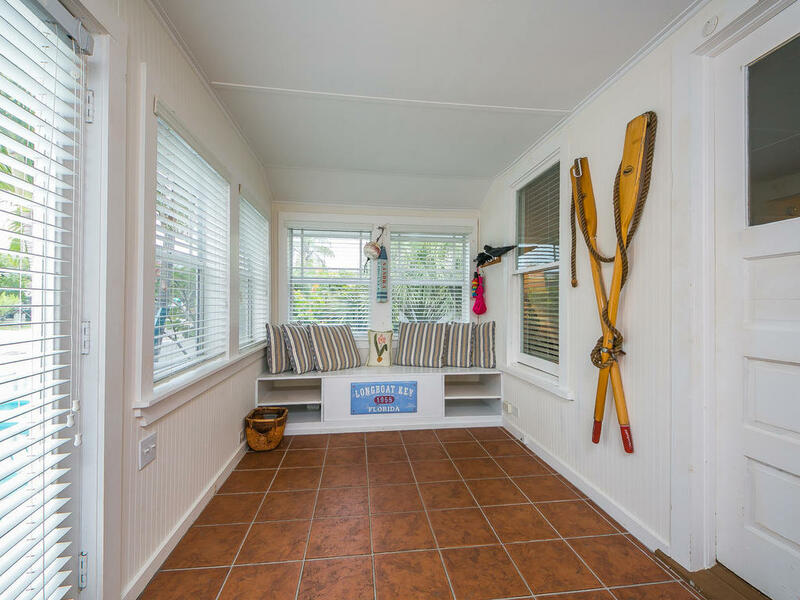 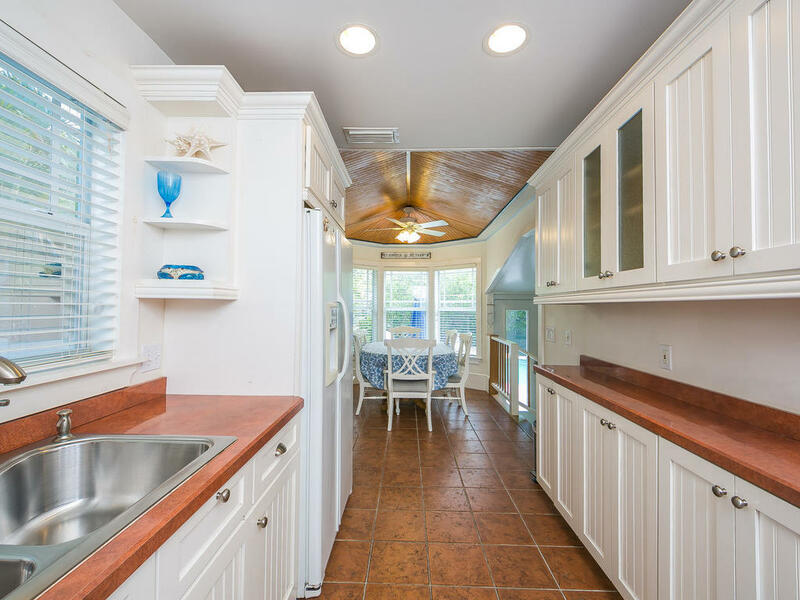 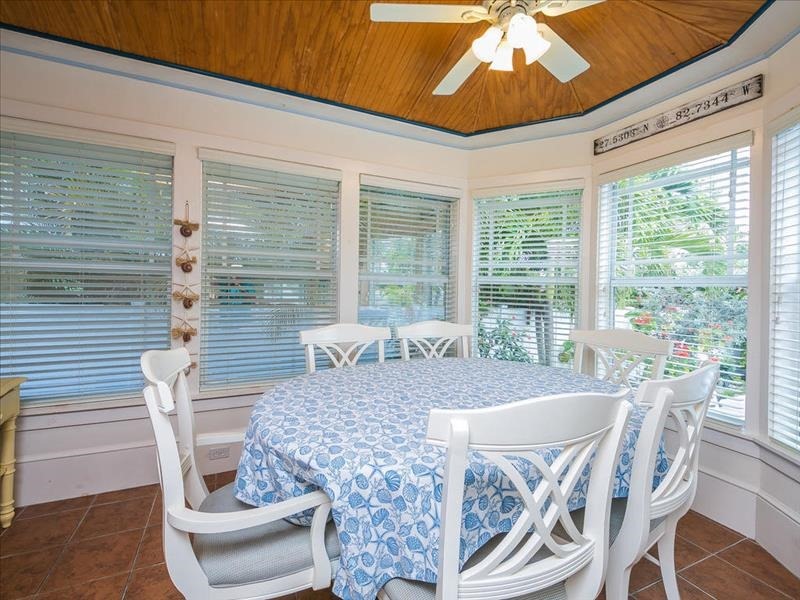 When you’ve had enough of the sun and breeze, head indoors and enjoy the gorgeous refurbished wood floors, updated kitchen and exquisite décor. 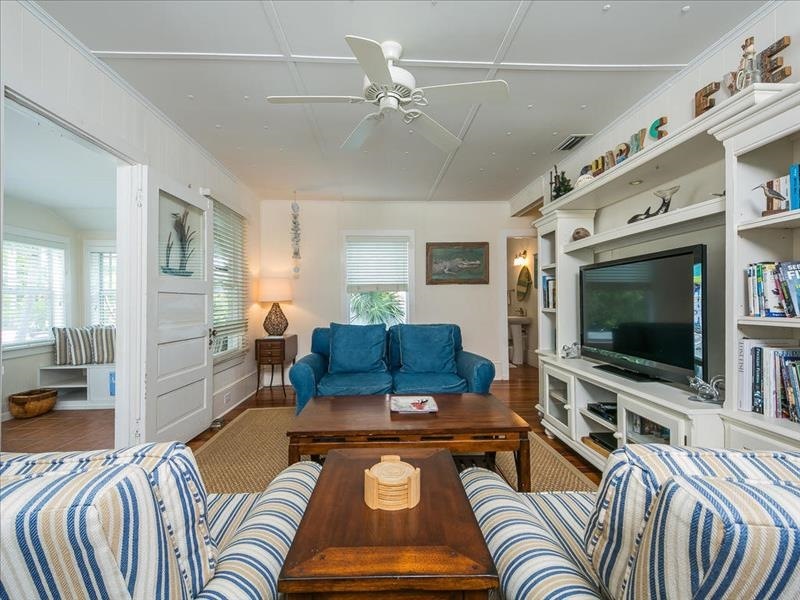 Make yourself comfortable on the couch while you enjoy the flat screen television. 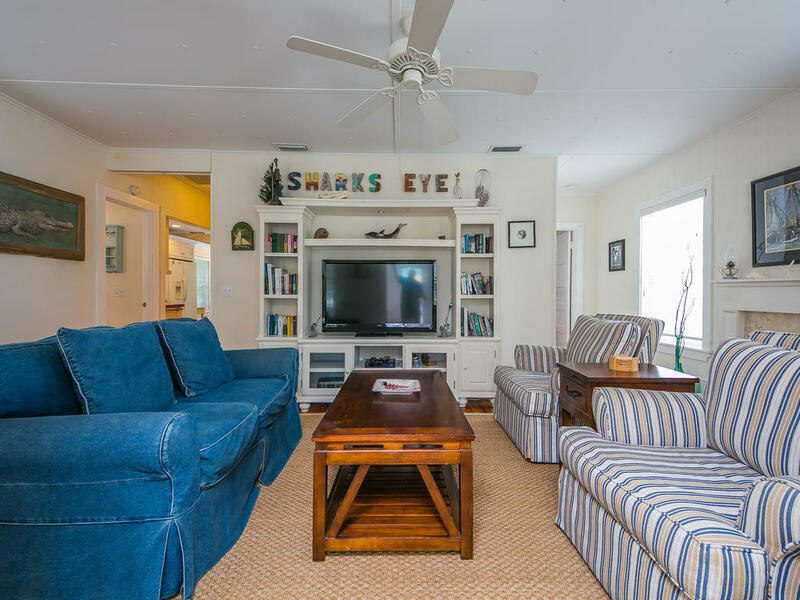 Don’t forget your wireless devices because Shark’s Eye offers free high speed wi-fi as well. 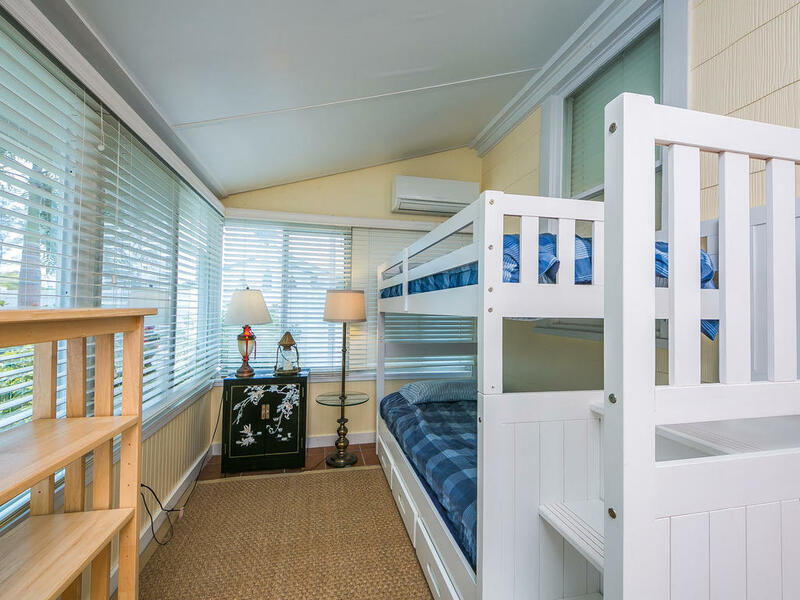 Book your stay today and you’ll never want to vacation anywhere else! 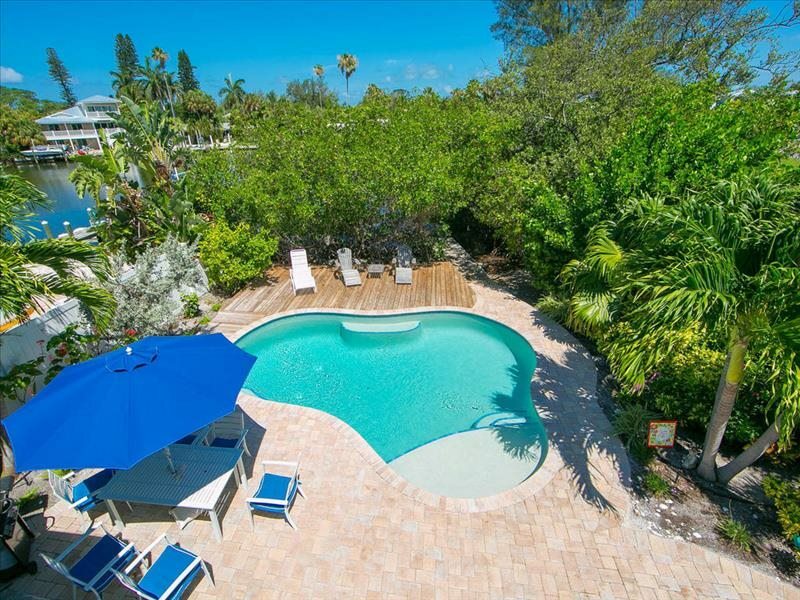 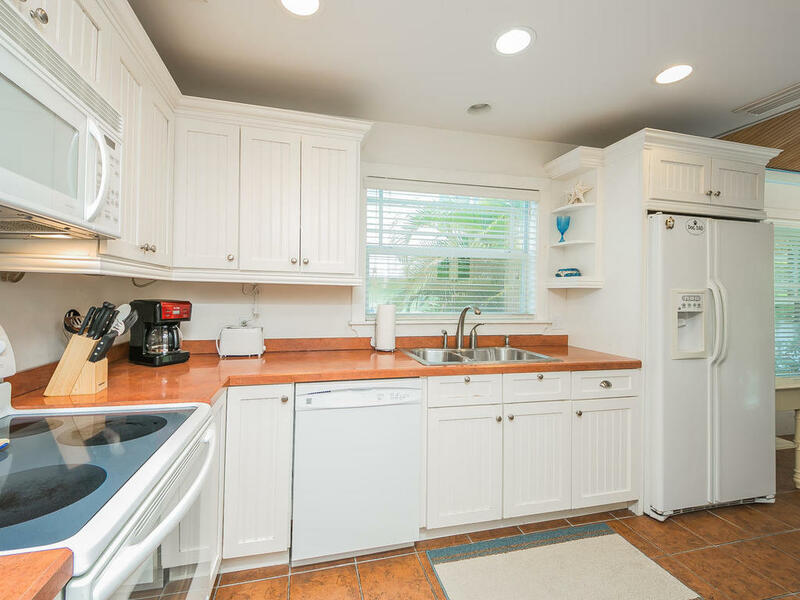 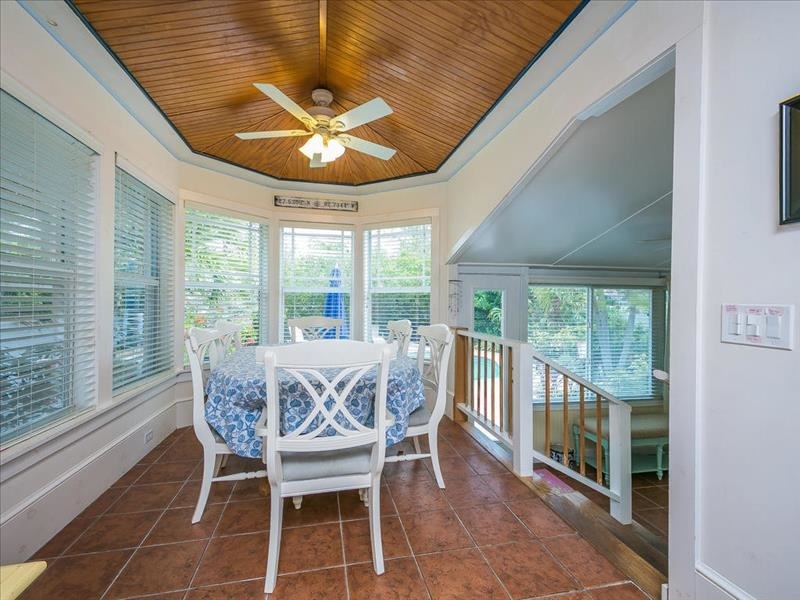 Balcony, BBQ Grill, Beach Distance, Bed Size 1st/Master, Bed Size 2nd Rm, Beds Pull-out, Internet Access, Micro/Dishwash/Disp., Patio, Square Footage, Est., TVs/VCR/DVD, View, Washer/Dryer, Pool Heat-Elec.